We want our clients to be efficient, productive, profitable, and successful. We help make these things possible. 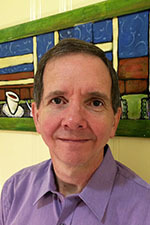 Automated Workflows is operated by Ray Robertson, who lives in the state of Georgia just outside the metro Atlanta area. Diane Postrech calls the scenic city of Pittsburgh, Pennsylvania home. Ray started working with automation technologies shortly after purchasing his first Mac. With a background in typography, he began by using macro programs and database publishing utilities for an Atlanta-based typesetting firm. In 1998 Ray started his own company focused on AppleScript solutions and training, successfully using scripting to automate Atlanta's infamous traffic out of his working life. Ray's primary focus is helping clients rapidly improve productivity, sometimes reducing weeks of tedious work to a few hours. Whether working with custom development or training, Ray knows good listening and communication skills are just as important as technical expertise. With a background in desktop publishing instead of IT, he readily understands the challenges many people face in deadline-driven environments. He is passionate about making automated solutions easy to use and maintain. Diane brings more than 20 years of full-service client relations and marketing experience to her position as Project Manager for Automated Workflows. She enjoys the interaction with clients and gets deeply involved in helping them find the best solutions to their workflow challenges. Always looking ahead to increase productivity and efficiency long-term, she gathers feedback from clients by listening intently, asking the right questions, and working cohesively with them to help with their decisions. Not a fan of hard-sell techniques, Diane uses common sense (not so common these days) to maintain her straight-shooting style and give clients her honest opinion. 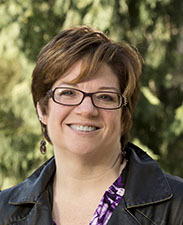 Previously, Diane served as Editorial and Traffic Manager for eight years at a full-service design firm. She was responsible for overseeing editorial guidelines for each of the clients, while trafficking the various aspects of production through the company, from first client contact to final product. She worked with many international clients, serving as the point of contact for both their internal marketing departments and their various vendors. Diane also served as an additional editorial resource when her clients needed the extra help. Following best practices guidelines, she created process flows to help her clients stay on task, and produced style manuals and training collateral to help them better utilize the resources they had. Diane’s expertise in communications and project management allows Ray to spend more time directly focusing on developing automation solutions for clients. We strive to provide our clients with the highest level of service possible, but don't just take our word for it! Below, find out what people are saying about working with Automated Workflows. We are always happy to receive feedback regarding our products and services. If you have something to say, please send your feedback! "I am continuously impressed by Ray's automation scripts. They have dramatically reduced my production time while producing more consistent and professional looking charts and graphs." "It's amazing, the amount of work this guy (Ben) gets done, and the amount of people he has directly affected with AppleScript and automation. It's incredible when you watch his little workflows, and it's even better when you watch the big ones, because they're very exciting." "On time, on budget... We've been nothing but extremely satisfied with everything about your process. Your skill as a systems integrator is truly a gift... Thank you very much for bringing this in on schedule and under budget." "Our conversations soon led to your devising an Applescript solution that totally meets our needs, and has been working flawlessly. We were further amazed that we could accomplish our goal at such a reasonable expense.Thank you again for helping us free up a significant amount of staff time with your excellent Applescript solution." - Stephen M. Kirchner, President, National Motorcoach Network, Inc.
"This is exciting! Just what I asked for. Thanks for putting that together for me." - Reid Greco, FindaNet, Ltd.
- Doug Pierce, Piermed, Inc.
"It's been a pleasure doing business with you and your firm. Your 'script' worked exactly as we had envisioned. Your expertise (in scripting) and professionalism (as a business person) has allowed us to ad a significant new feature to our QuickVoice product in the most efficient and cost effective manner possible. We look forward to doing business with you in the future!" - Michael Corcoran, President, nFinity, Inc.
"The script worked properly the whole way through!! Thanks so much for this, it's certainly going to change my workflow!" "The apple script you wrote for image ready processing is running great. The script works like a charm. Thanks for the quick turn around and a nice script." "I've just recently finished your Applescript training CD from VTC and I just wanted to let you know how much I enjoyed it. It's like watching over your shoulder while you solve scripting problems. I'm very new to programming and scripting, so I think your CD was very useful." "Thank you for being so helpful. That's often a problem with shareware. After the paypal goes through the emails don't. Anxious to check out some of your other stuff." Dial Phone From FileMaker "Works great!" "I think you could tell how much everyone enjoyed your presentation. It was a real eye-opener. We all learned a lot about AppleScript. You certainly knew how to make a subject that could have been too technical quite the opposite-fascinating and challenging. As a result of your excellent presentation and warm interaction with the atterndees, I'm sure many of us are interested in trying our hand at AppleScripting or, at least, for the first time ever, using prefab AppleScripts." "Your presentation at the Bmug on Wed night was very informative. I've always wanted to take advantage of Applescript but for some reason it was not resident on my home computer. I have now fixed that and tried some sample scripts today. Thanks again for your time and effort." "I thought Ben's talk was great; he kept it moving without getting bogged down in distractions or details; the questions from the audience were addressed efficiently. I thought he was one of the better speakers we've had. I have tried to implement a script on my webserver in the past, but just haven't been able to get started. I learned a lot last night, and got the info I needed to get back on track with the AS task I have to implement." "I enjoyed your presentation and I learned some very interesting things. Every time I have heard you speak, I learn more. Thanks for sharing your expertise." "I just want to say I very much enjoyed you seminar last night for the Lehigh Valley Mac Users Group. It opened new doors in my Mac computing. Thank you again." "Thanks for putting on great presentation for us at Bizmac! Thanks for inspiring us all." "Thanks for a very informative and pragmatic applescript presentation... You are a clear, concise, excellent presenter, and I really learned a lot. Thanks again for sharing your expertise with us." "I want to thank you for the great presentation. I had many emails saying how much they enjoyed the information and can't wait to try some scripts. I myself came home and downloaded some scripts." "I would like to thank you for a terrific presentation for NJMAUG. It is good to see there are people like you who give of yourself to the macintosh community. Again Thank You for a great presentation. Now this may help some of us be more efficient using our Mac's." "Thanks for the very quick turn-around. Thank you very much for your great service!" "I just wanted to thank you for your help at the MacWorld Internet Cafe. I am very happy with this solution and am very gratefully yours." "Benjamin comes up with fast solutions to even the most perplexing AppleScript problems." "....following email discussions, Mr. Waldie was able to quickly locate and overcome the difficulty, and, in addition, gladly provided the solution to another minor problem. Service from Mr. Waldie and his company was not only fast, but courteous, and I would not hesitate to deal with them again."